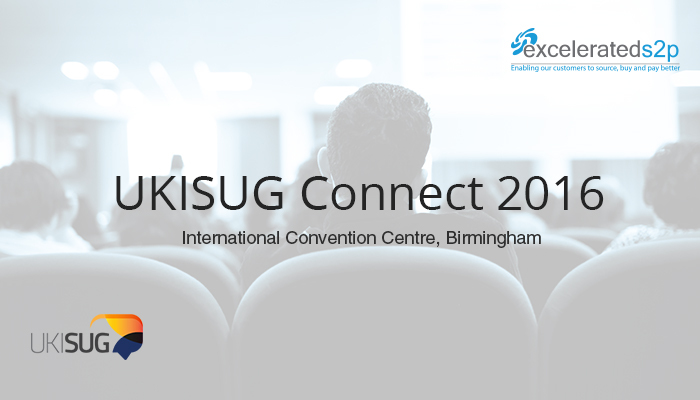 Whether you’re looking to take advantage of the multitude of SAP experience at the event or simply looking at the next innovations in the marketplace, UKISUG Connect 2016 should not be missed by any SAP professional. During this event, you will have the opportunity to meet over 500 SAP users, 65 exhibitors, and more than 200 experts to network and share experiences. This year, the agenda is filled with experts in the industry, exciting breakout sessions and important speakers such as Hala Zeine, Vice president, SAP and Phillip Adams, Chairman, UKISUG. At ExceleratedS2P, we are very proud to be part of this great conference as Sponsors. Where you will have the opportunity to meet our consultants and experts whom will explain and show you how our solutions can make easier the way your company has been until nowadays. We imaged it, and we have created it, that’s why ExceleratedS2P provide solutions on-demand and on-premise for the whole process of Source to Pay. We will keep you updated during the next weeks, so if you don’t follow us on Twitter or LinkedIn don’t hesitate to do it!